Anish is an Associate specialising in employment and partnership law. Anish advises on a wide range of contentious and non-contentious workplace issues for companies, LLPs, professional partnerships, senior executives and partners. He has a particular interest in workplace disputes involving discrimination and whistleblowing. Anish has delivered equality and diversity training to the firm’s employer clients. Anish has advised clients in relation to employment litigation, both in the Employment Tribunal and the High Court. He has experience drafting and advising on various types of employment documentation, including service agreements, employment contracts, staff handbooks and policies, and settlement agreements. Anish is a member of the Employment Lawyers’ Association and the Association of Partnership Practitioners. Anish has taken an active role in a consultation on proposals relating to ethnicity pay gap reporting. 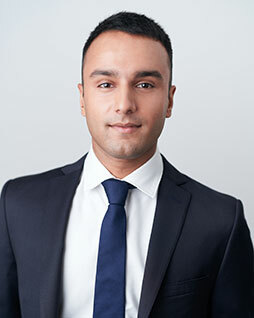 Anish joined Fox & Partners in September 2018 having trained at an international law firm.